It's basically the address of the webpage where a person clicked a link that sent them to your page where your form is embedded. In other words, it's the webpage that a person was on right before they landed on your page. 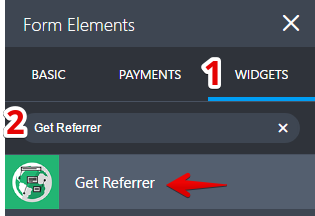 How to Capture Referrer URL? Capturing the Referrer URL is super easy. Follow these 2 simple steps. 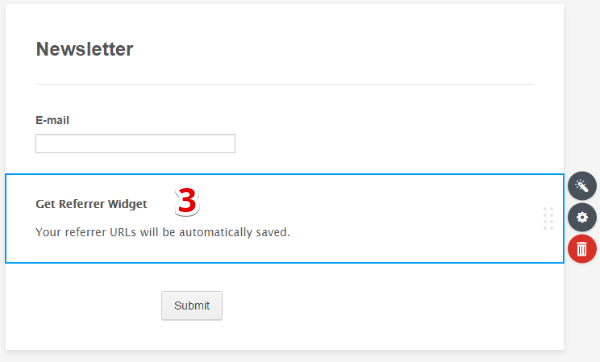 Here's an example submission with referrer URL captured by the widget. Can questions have dynamic text? I don't want fields to be pre-populated, but rather want "referrer" above to customized. If this can be done, how do I do it? I integrated this form with Mailchimp and I am trying to see how I can add tracking on my Mailchimp side to show that the subscriber came from Jotform. I set up the integration and tested but when I go to see the subscriber It says it came from API Generic. I tested the above Todo and it didn't function properly. This is my IFRAME CODE: Where do I add this code? $_SERVER['HTTP_REFERER'] or maybe I am missing a step?